Fresno State’s softball team traveled to New Mexico over the weekend in its first Mountain West road series. Losing Game 1 of a three-game series to a walk-off, the ‘Dogs were able to bounce back with back-to-back wins and a no-hitter from freshman Danielle East. The freshman recorded all 15 outs in Game 3, setting a new career-high of 15 strikeouts in a game. And as she set that new career-high for herself, the team set a new season-high for itself. Fresno State’s hitters had a season-high six hit-by-pitches. In the end, the Bulldogs’ offense came through for East with three runs in the third, one in the fourth and a quick six in the fifth inning to take Game 3, 10-0 on Saturday. Before the celebration, East pitched Game 1 of the series, in which she was the losing pitcher. Although she threw 13 strikeouts in the contest, the ‘Dogs still came up short in the seventh after a 4-3 walk-off. The Lobos were the first on the board after capitalizing on a pair of walks. Down 2-0 in the seventh, sophomore Miranda Rohleder hit a double. After a fly out and a walk, the ‘Dogs had players on the corners. It was Hayleigh Galvan who tied the game with a two-run double. Junior Rachel Minogue gave Fresno State its first lead after a double of her own, driving in pinch runner Dolly Stevens. With runners on second and third in the bottom of the seventh, the Lobos had a 1-out advantage. East wasn’t having it. She delivered the second out as well as her 13th strikeout in the game. But it was the Lobos’ Monica Salas who secured the win when she grounded a ball through the middle for the walk off 4-3 win. 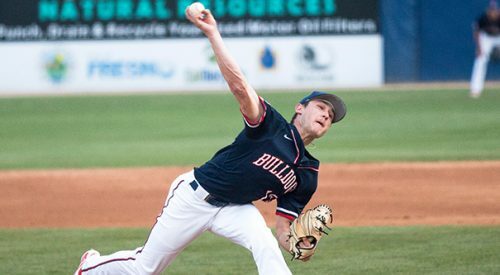 In Game 2 of the series, the ‘Dogs had to battle in the third to take a 7-4 lead after being scoreless for two innings. From there, Fresno State did not stop. It scored five more runs in the fourth and two in the fifth to secure its first conference win on the road, 14-4. 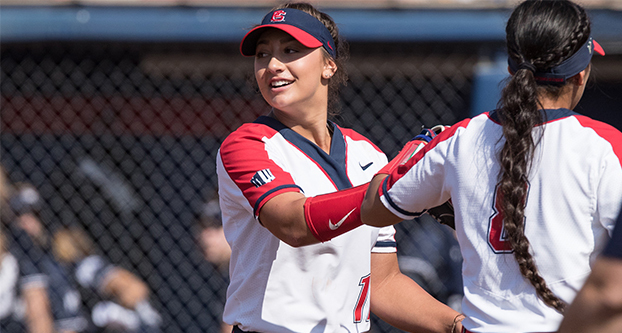 Senior Katie Castellon proved to be a pivotal player in the game as she recorded a team season-high of six RBIs and her first career two-home run game. Fresno State is now 19-15 overall and 4-2 in the conference. 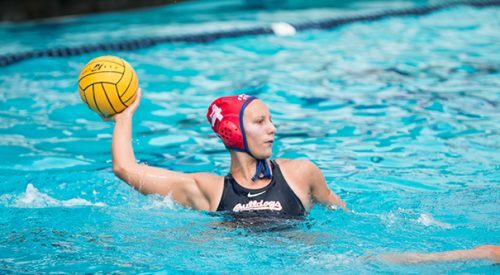 The ‘Dogs will now hit the road for two non conference games against Stanford on April 3-4. They will be back in action at Margie Wright Stadium on April 6 in a three-game series against Utah State.